I am swimming in parsley! Even though I don’t need it all, I learned last year that if I don’t cut and harvest it, the plant sends up a big, thick stalk and won’t keep producing as well. So I cut a little off the outsides. I read somewhere that you can keep it like a bouquet right on the counter. It’s working for me so far! I’ve also got lots of spinach. The key with spinach is to keep harvesting, and it will keep growing and delay going to seed. I tried to find a meaningful way of measuring (ounces? pints?) 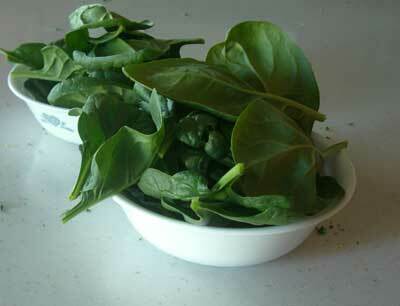 and decided on Corelle cereal bowls–two full of spinach! This is only the trimmings for one salad. 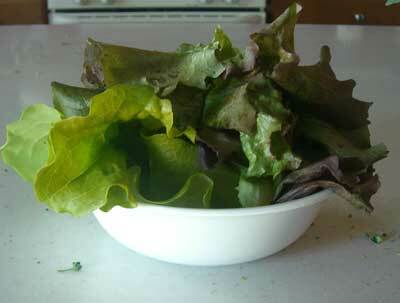 This looseleaf lettuce doesn’t stay as crisp once it’s picked. But I have LOTS more where this came from. And the crowning glory: BROCCOLI! I harvested four medium to large heads. The plants are already developing side-shoots (pictures coming this week), so as long as the temperatures stay mild, we’ll have greens galore. I’ll do another post soon with pics of my garden! A tip about keeping lettuce crisp is putting it in bag with a paper towel in the fridge works great!!!! keeps for days! I simply chop it finely in the processor and then put it in glass jars in the freezer with the date on top. Easy, nothing fancy. 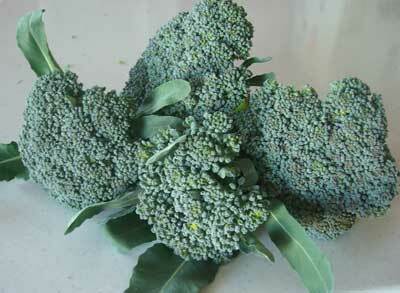 Wendy–I had a REALLY long, cool spring, which is why my broccoli did so well. Also, I fertilized with lots of nitrogen a couple of times (21-0-0). I love your harvest! I am late in the season but I have some tomatoes, pumpkins, lima beans, basil, cilantro, thyme, hot and sweet peppers, onions (red, yellow, and evergreen) and lettuce in the ground. I am hopeful I will have a good harvest! 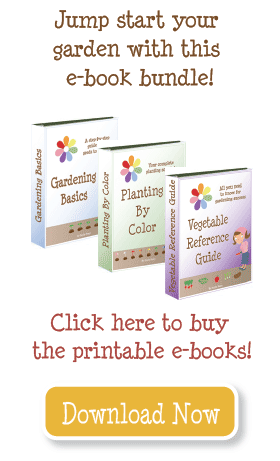 I will be starting my cucs as well in the next day or 2 your site has been an absolute blessing! Wow…your broccoli looks great! I harvested mine and they were tiny and within about 30 minutes they were rubbery. Any idea what I did wrong? There are now side shoots coming in, but they are sort of sparse looking (not tight flowers like they should be). Deann–if the peas are that tall and not producing, it suggest to me that you have too much nitrogen and not enough of the other nutrients. Too much nitrogen will stimulate leaf growth, but not fruit development. Try Fertilome blooming and rooting (9-59-8) or something comparable. I find that within about 2 days I have flowers and shortly after we get peas. This spring HAS been great for the cool weather crops! I’m sad I didn’t do broccoli this year. 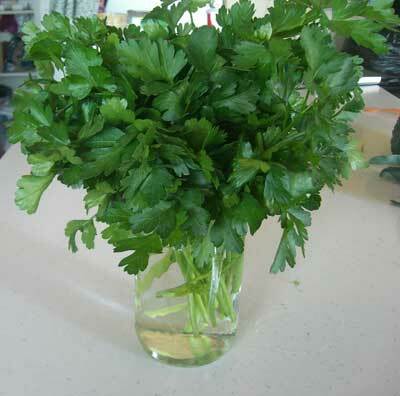 I trimmed our parsley a couple weeks ago then dehydrated it, good to know about the thick stalk.. ours had that. Oops. Oh well, we got so much that I won’t need anymore dried for at least a year! And wow, I can’t believe how tall my peas are! They are a few inches over the trellis now.. better get a lot of peas from them! Daisy–tell us more! How do you freeze them in glass jars? Any preparation? Cut? Vacuum sealed? It all looks great! I harvest and freeze my parsley in glass jars so I always have it on hand. Enjoy! All writing, photos, and images copyright My Square Foot Garden © 2007- 2017 All rights reserved. You may not copy or otherwise reproduce any of this content without written permission.